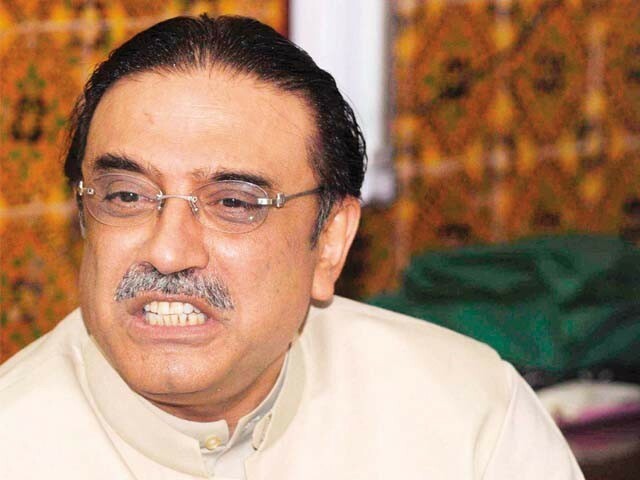 "The shoe was not...a Ferragamo...no..."
On Tuesday, the Wall Street Journal released an op-ed by President Asif Ali Zardari defending his Europe tour, a trip that garnered tremendous criticism and even resulted in shoes being lobbed in his direction. Yes, shoes. Nice throwback to Bush in Iraq in 2008, don’t you think? As the floods hit the country, I faced a dilemma as head of state. 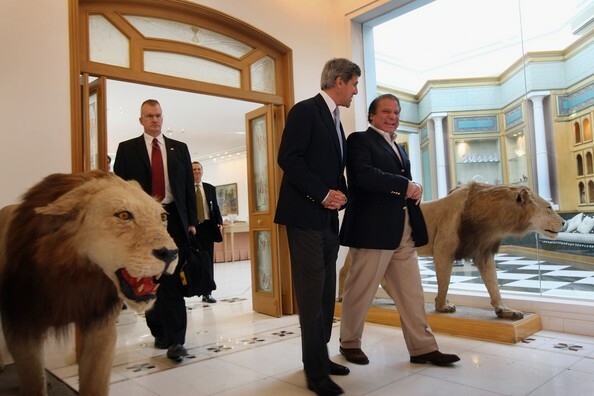 I could stay in Pakistan and support the prime minister in our response to the floods, or I could continue with a scheduled visit abroad. I chose to use my travels to mobilize foreign assistance—money, supplies, food, tents, medical care, engineers, clean water and medicine—for our people. Some have criticized my decision, saying it represented aloofness, but I felt that I had to choose substance over symbolism. 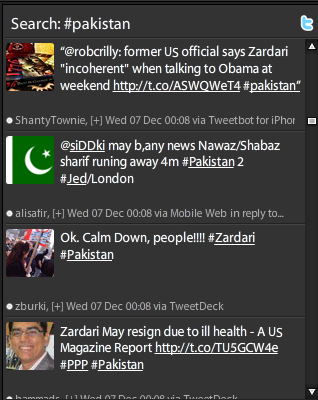 To an extent, I agree with the-aide-writing-as-Zardari. If he had stayed in Pakistan instead of jetting off to Europe, would that have made an enormous difference to the government’s response, or lack thereof, to the floods? Probably not. I might have benefited personally from the political symbolism of being in the country at the time of natural disaster. But hungry people can’t eat symbols. The situation demanded action, and I acted to mobilize the world. Mister President, I agree with fellow bloggers that media attention on your trip has been overblown and took away from the much more serious issues at hand. But I am not sure a Europe jaunt was the necessary step in “mobilizing the world.” Couldn’t a phone call have sufficed? Skype? A few smiley faces and lol’s can go a long way these days. While the threat of media groups is a dangerous phenomenon, it is also exacerbated by these outlets’ responses, which sensationalize reports and further this cycle. All the while, the attention that should be dedicated to the 14 million affected by the floods in Pakistan is diverted to far less important things. So shame on you. Shame on all of you. Storms will come and storms will go, and Pakistan and Britain will stand together and face all the difficulties with dignity. “Storms will come and storms will go“? Very sensitive analogy, Mister President, particularly when 4.5 million people have been affected by floods caused by torrential storms. So this Saturday, the Bhutto-Zardari family will present Bilawal Zardari, or “Bilawal Bhutto Zardari” as he is now known, as the PPP’s new leader, head of the family business, at a party rally in Birmingham. Despite his tender age and minimal experience of Pakistan, the young scion of one of the country’s wealthiest feudal families will take over the reins of the country’s largest political party…It’s a position for which there was neither contest nor welcome contestants. While the PPP has a number of promising up-and-coming MPs, like Palwasha Khan, or inspirational and able veterans like Aitzaz Ahsan (the former interior minister who led the successful lawyers’ movement to reinstate the deposed chief justice), merit simply doesn’t come into it. The back-and-forth has left me both perturbed and irritated. First, why are we still so surprised and incenced by the presence of dynastic politics in Pakistan? Yes, it is disturbing that the PPP and political parties in the region as a whole portray political office more as a family business than a merit-based career. But isn’t that also something fundamentally wrong with society’s perception of politics? Don’t we, at the end of the day, vote [at least some of] our leaders into power? If dynasties have become the norm in the region, then society also plays a role in perpetuating the reality of personality-based politics. Second, are we selective in our criticism of Bilawal Bhutto? I find it interesting that past coverage of his political journey have been framed alongside the presence of his cousin Fatima Bhutto, not veteran politicians who have devoted their careers to the PPP. Articles have discussed who is more “deserving” of the PPP throne, with Jemima Khan acidly noting in 2008, “If everything’s in a name, Fatima need not have changed hers in order to inherit. Brought up in Pakistan, unlike Bilawal, and a native speaker, she is an established writer and political commentator. At least she has some work experience. 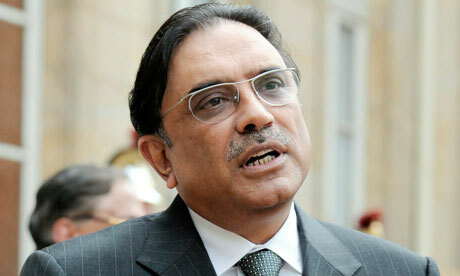 Aunt Benazir’s first-ever job was prime minister of a 160-million-strong nation.” Yowza. Catty. While I am not a proponent of personality politics, and certainly not of the paradoxical “dynastic democracies,” I do think it’s important to go beyond being angry about Bilawal Bhutto and ask deeper questions about the prevailing reality of Pakistan. Also, I do think (as I mentioned in my last post) that we really should be concentrating our energies elsewhere – like actually donating our time and money towards the millions of people impacted by the floods. Isn’t that what’s really important right now?